This is a sponsored pattern review. The opinions are my own, based on my experiences. Sewing clothes for boys over the age of 5 can be tricky. There aren't a lot of fashion patterns out there for "big boys" and most of them are the same handful of basic styles. BORING. Who wants to take time to make something ho-hum looking? 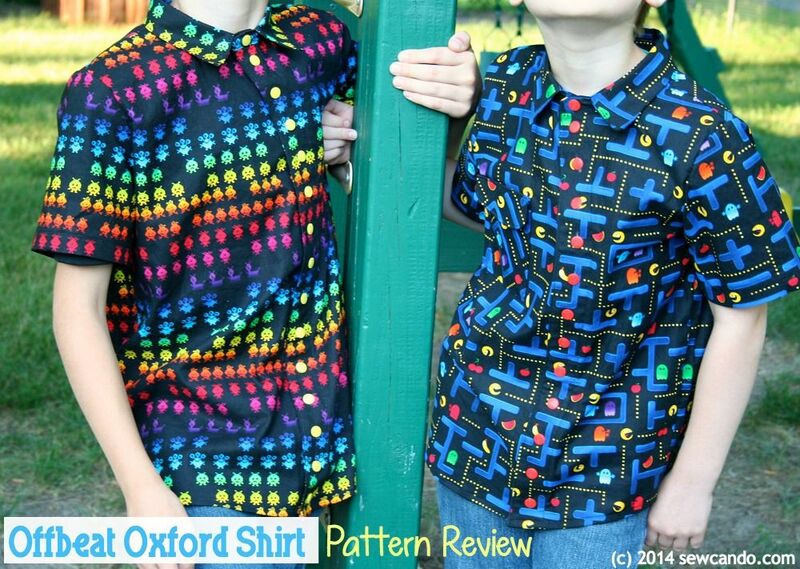 Today's pattern review has an ideal option: the Offbeat Oxford Shirt Pattern from Terra's Treasures. This PDF pattern has a unique spin on the classic Oxford-style shirt. 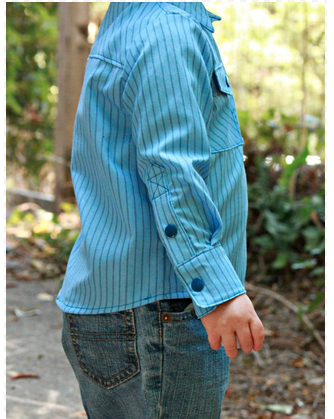 The front has a curved placket that gives it a fresh look from the standard button-down shirt. 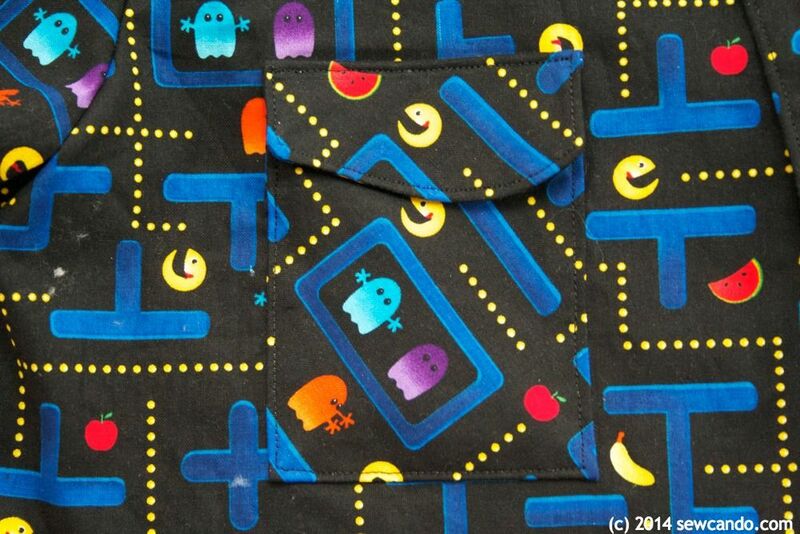 Side note: I'd fallen in love with this retro video game fabric as soon as I'd seen it. This one is Pocket Arcade Video Game by Timeless Treasures. You can find it here. I'd grabbed it as soon as I saw it, but had been stumped on what to do with it, until I clapped eyes on the Offbeat Oxford Pattern. 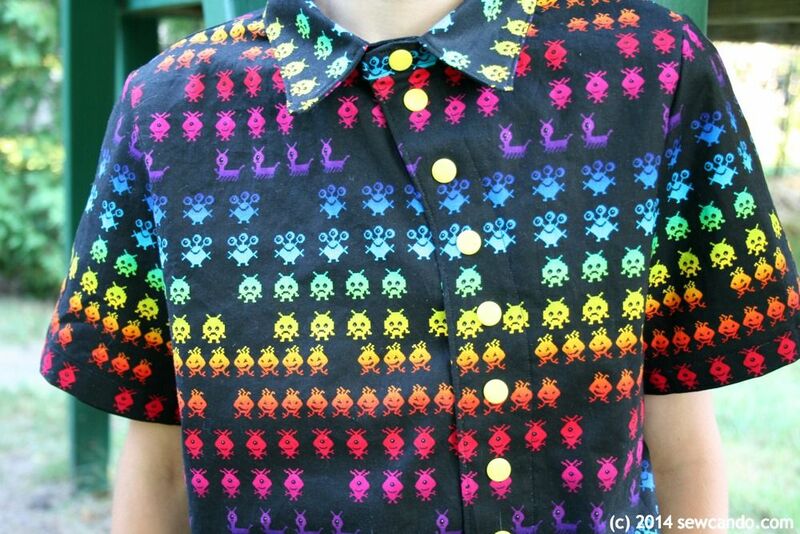 I'd also loved the corresponding Pocket Arcade Invaders print (find it here). 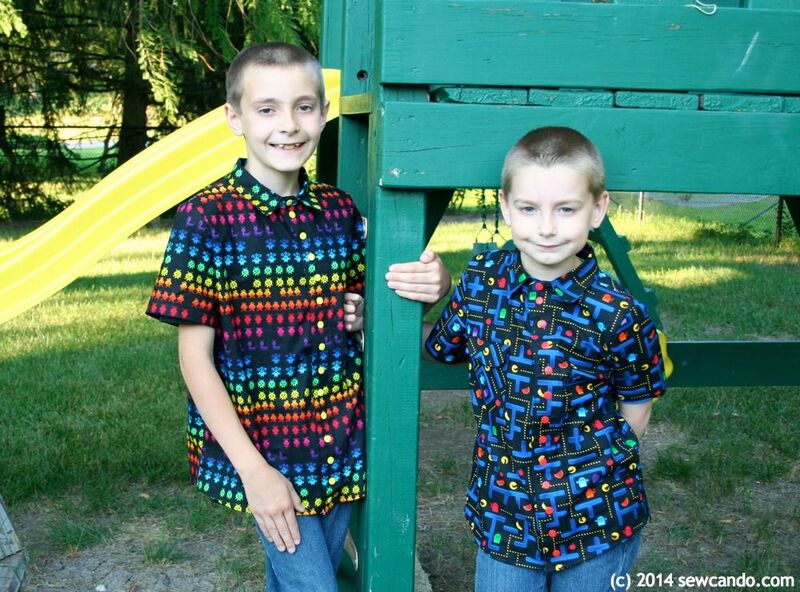 With two complementing prints + two video game loving boys, these were ideal fabric picks for their new shirts. 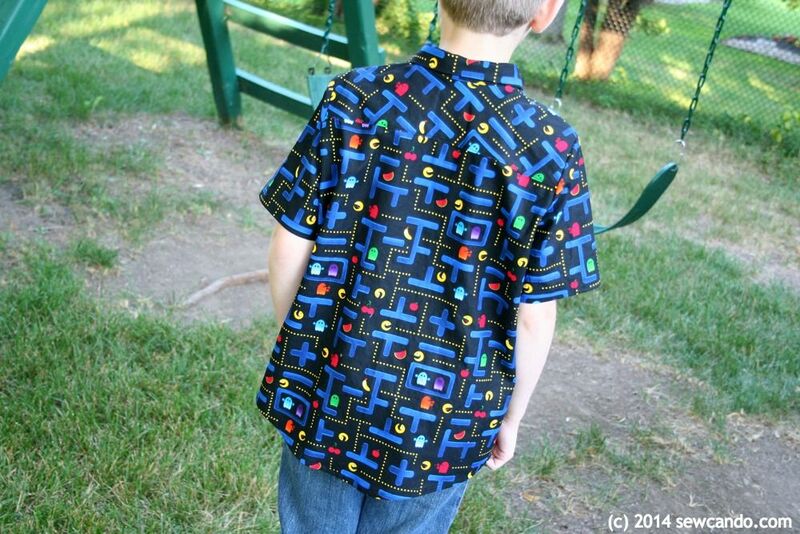 If you have older boys you know what I challenge it can be to find fabric prints for this age-range. Colorful and fun is good, but not too cutesy or twee. These both got the thumbs up from my 8 & 11 year olds. 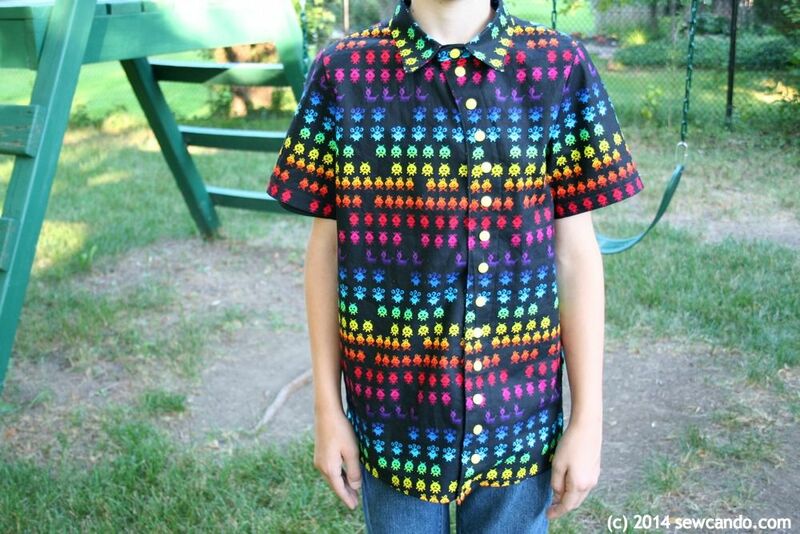 The Offbeat Oxford pattern has sizing for 12 months up to 14 years, which is nice since boys seem to grow crazy fast - especially in the tween age-range. There's a good amount of room so each size can get maximum wear time. You can use snaps or buttons for the closures. I went with some fun engraved monster snaps I had in matching colors. I also did the front facing for the snaps a bit differently than instructed - it wasn't on purpose at first (I thought I'd cut it wrong), but it worked out ideally for my needs. The patterns calls for one facing side to be folded to the right, outer side, instead of the wrong, inner side of the fabric. Both my fabrics are busy & directional so wrapping any of the facing to the front would have interrupted the print between the front halves of the shirts. My workaround was cutting two facings the exact same way (instead of mirrors of one another) and just folded them both the traditional way - to the inside - and my prints. A happy accident that worked out to my advantage! 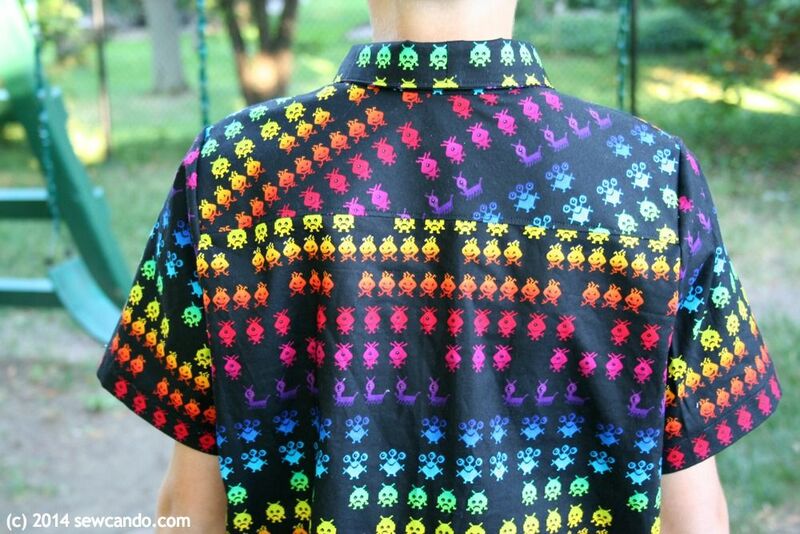 I really love how the shirts turned out and like how you can easily switch things up with the pattern piecing. Do the facing, collar, back yoke & pocket in contrasting colors or prints, swap snaps for buttons, you can make a lot of fun looks without having to change the main design. 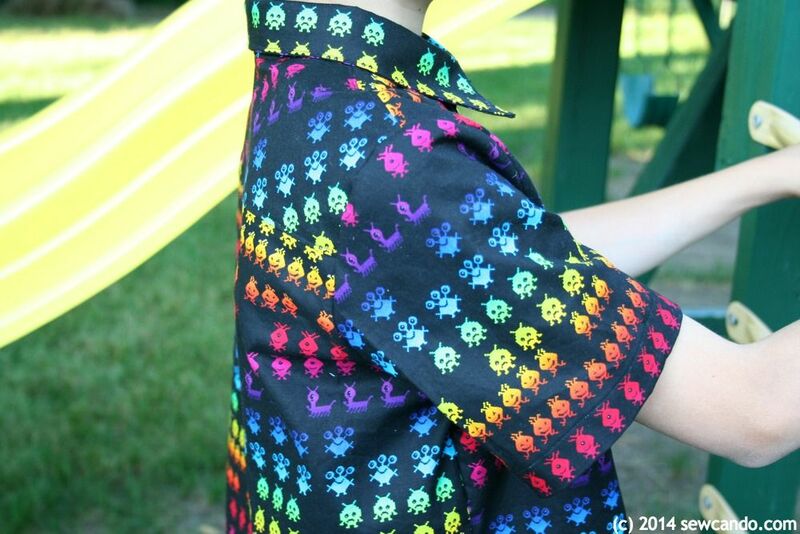 FYI, through July 22, the Offbeat Oxford Shirt Pattern is on sale for 25% off, so it's a good time to grab it if you want to make some fun shirts for your little or big guys. And there's also a giveaway for one on the new Terra's Treasures blog too. Happy shirt sewing!! I received this pattern to review from Terra's Treasures, a paying advertiser on Sew Can Do. The opinions are completely my own, based on my experiences. For my complete disclosure policy, see HERE. I love the look of these shirts. Great fabric choices! 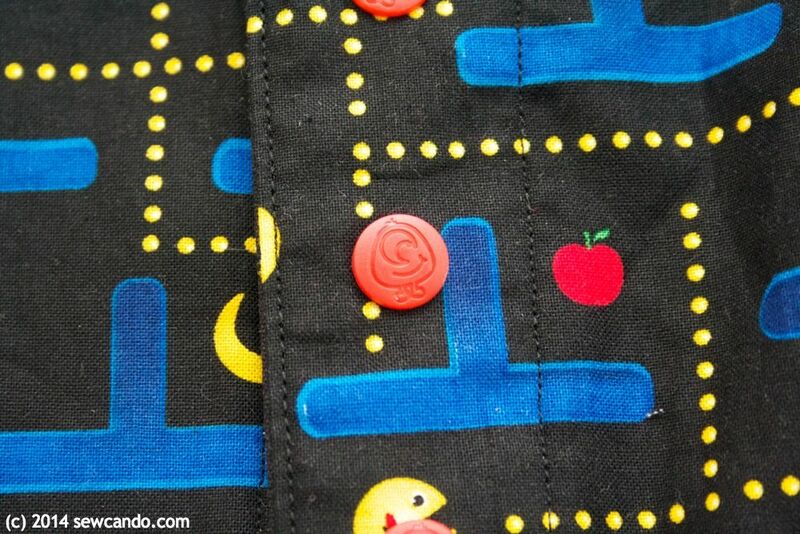 Oh my goodness, that fabric is amazing. I think I am going to be forced buy some and make something fabulous. (I will pretend I'm making something for my teenage boys but will make sure I have enough to make myself a little something too!) Those shirts are lovely too of course! I feel the same - now I want to make something for myself with these. They're even cuter in person too!